• Is FMS Ultimate an official school sport? Nope. We are an independent team operating under the umbrella of Maine Ultimate, a local non-profit that is dedicated to fostering competitive youth ultimate. We have a great relationship with the middle school and elementary school gym teachers and will have, by the end of the 2018 season, taught the 2nd, and 4th-10th grades how to play ultimate in their gym classes, but we have no formal relationship with the district. 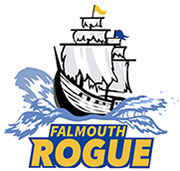 • Does FMS Ultimate have any affiliation with the Falmouth Rec. Program? No. Again, we’re big fans of the Falmouth Rec. Program and appreciate everything they do to help us secure field space and time, but we have no affiliation with them. • Who can play on the FMS Ultimate team? Any student living in Falmouth who is in the 2nd through 8th grade. • Who are the coaches? Head coach Shea Gunther has managed FMS Ultimate for four season prior to 2018. He is a USA Ultimate Level 1 Certified Coach and is a long time ultimate player. Having played at the college, club, and social level, Shea has a deep love of the game and a drive to help build the future of the sport. He is a board member of Maine Ultimate. Assistant coach Laura Karson is a recent graduate with four years of high-level collegiate competition as well as a USA Ultimate Level 1 Certified Coach. In addition, we’ll be bringing in expert guest coaches during Travel Team practices to fine-tune players understanding of specific aspects of ultimate. • What are the differences between the Intramural and Travel Teams? The biggest difference between the two teams are the level of commitment expected. The Travel Team plays or practices five days per week while the Intramural Team plays just twice per week. Travel Team players will be expected to take their commitments to the team more seriously and will be held to a higher standard during official Travel Team practices. Intramural practices and games will be more mellow affairs. If a Travel Player plays a second sport (which is not encouraged), it’s expected that ultimate will take top precedence should a scheduling conflict with that second sport ever arise. • What about Rogue Junior? What options are their for 2nd, 3rd, and 4th graders? We’re excited to be launching a new program this year for 2nd, 3rd, and 4th graders called Rogue Junior. Meeting twice a week to play intramurally, Rogue Junior players will benefit from using a smaller disc called the JStar– a 145 gram scaled-down version of the 175 gram UltraStar disc the kids start using in the 5th grade. Rogue Junior teams will also play five players versus five on the field, instead of the 7v7 formation the older kids use; this will give each of the younger players more opportunities to catch and throw the disc. • Do I have to register for both teams if my son or daughter is playing on the Travel Team? No. Even though the Travel Team players will play and practice with the Intramural players two days a week, you don’t need to register for both. The team dues for the Travel Team covers everything. • My daughter or son plays another sport. Can they still play ultimate? Yup! That’s what the Intramural Team is for. We try to schedule Intramural games and practices around other sports as best we can and if your player has to miss a day of Intramural to attend a lacrosse game or track meet, it’s not a problem! • When will practices be? Practices will start at 6pm. Players in 2nd-4th grade will finish at 7:30pm while those in 5th-8th grade are done at 8pm. • When does the season start? The Travel Team will start during the last week of March. The Intramural Teams will start in early May when the fields become available for use. • When does the season end? All teams wrap up play in the first week of June. • How far does the Travel Team actually travel? Not terribly. We play one tournament in Amherst, Massachusetts but otherwise stick to South Portland and Cumberland in addition to games against local towns like Portland and Cape Elizabeth. • How can I stay engaged as an Ultimate Parent? Join the FMS Ultimate Parents Group! We announce all important and necessary information to the group and it’s an easy way to connect with other parents. Have a question that you don’t see an answer to? Email coach Shea Gunther at sheagunther@gmail.com and he’ll answer and add it.